The tragic and unnecessary death of Savita Halappanavar in a Galway hospital has sparked a worldwide wave of protests against Ireland’s abortion laws. Savita Halappanavar, 31, who was 17 weeks pregnant, died as a result of septicaemia after doctors at University Hospital in Galway refused to perform a termination after she began to miscarry, despite the fact that her foetus had zero chance of survival, telling her husband, “This is a Catholic country”. Thousands of people have gathered at vigils and protests in Ireland, with over 10,000 people attending a march in Dublin on November 17, and hundreds attending a vigil outside the Irish embassy in London on the same day. There were also protests across the Republic of Ireland, in Galway, Cork, and Limerick, among others. There was a well-attended protest in Belfast, and one in Edinburgh. New York City also saw a vigil, organised by two expat Irish citizens, while there was a peaceful protest outside the Irish embassy in New Delhi. A protest in Brussels will take place tonight (November 21). The Socialist Party handed a letter to the Irish embassy in London on Wednesday morning as part of an “international day of action”. Savita’s widower, Praveen Halappanavar, has demanded a change in Irish law. “I am returning to Galway and will continue to keep the pressure on the Irish government with the support of social groups there to modify the law so that no other woman dies because of a religious law,” he told The Hindu. An inquiry into the circumstances surrounding Savita’s death has been embroiled in controversy, as three members of management at the hospital where she died were asked to stand down from the investigative panel by health minister James Reilly. They are to be replaced by independent experts with no connection to University Hospital, amid claims that the hospital management was trying to ensure a whitewash. Praveen Halappanavar has said he will not cooperate with the inquiry, which is expected to deliver an interim report before the end of the year, and is calling instead for a public inquiry. The international outpouring of grief and anger in the wake of Savita Halappanavar’s death is striking and moving; it feels, in some way, as if a tipping point has been reached. “Never again”, said many of the signs carried by protesters around the world. At Abortion Rights, we hope that no other woman in Ireland will have to endure Savita’s tragic and avoidable fate, and call on the Irish government to immediately enact legislation to protect women’s lives. ‘It’s time to demand Ireland changes its abortion law’: read the comment piece on Savita’s death by Abortion Rights. Have a look at some great photos of the Dublin rally from The Guardian, Broadsheet and the Irish Independent. 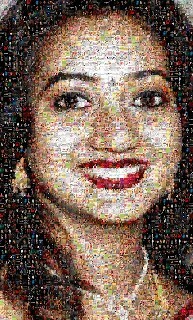 Photo details: We Are All Savita – mosaic image of Savita, made up of @ProudProChoice and @choiceireland’s Twitter followers.